The Undergraduate Writing Fellows Program brings talented undergraduates and committed faculty together in a cooperative effort to improve student writing. The program prepares selected students from a wide range of majors to serve as peer writing tutors, called Writing Fellows. Fellows work closely with professors and students on writing in a variety of courses across the College of Letters and Science. 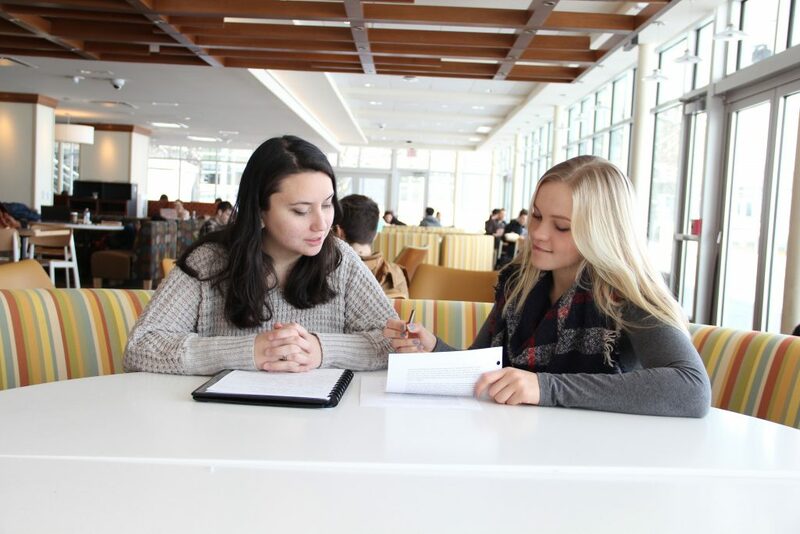 The program enables accomplished and enthusiastic student writers to share their writing skills and intellectual curiosity with other undergraduates. Collaboration among student peers is an especially effective mode of learning. All writers, no matter how accomplished, can improve their writing by sharing work in progress and making revisions based upon constructive criticism. The Fellows put these beliefs into practice, serving as guides and role models for their peers while gaining invaluable experience for themselves. By placing undergraduates in positions of intellectual leadership and creating new opportunities for intellectual exchange between and among students and faculty, the Writing Fellows Program helps fulfill the University’s teaching mission and seeks to build a community of undergraduates dedicated to uniting intellectual inquiry with service to the University. Thank you for your interest in applying to the Writing Fellows program! The application is now available until the deadline Monday, March 11. The Writing Fellows Program application is now hosted through Scholarships@UW-Madison and that is where you can access our application. Selected applicants will be invited to a thirty-minute interview, decisions will be finalized by the end of April, and selected Fellows will begin their work the following Fall semester. Log on to Scholarships@UW-Madison and click on the “Visit My Scholarships” link. After logging-in and answering a few yes/no questions, you will be presented with links to applications for scholarships for which you are eligible, with open application cycles. If you do not see the Writing Fellows application on your list, and you believe you meet the eligibility requirements, please contact Elisa Findlay at elisa.findlay@wisc.edu or Emily Hall, Director of the Writing Fellows Program, ebhall@wisc.edu. Two academic writing samples that represent your best work. Choose papers from courses in different areas of study and be sure to include at least one, preferably two, pieces of analytical or argumentative writing (feel free to include a lab report as long as it illustrates your analytical writing – e.g. the Introduction and/or Discussion sections). For each selected paper, you will need to write a description of the assignment and a brief explanation of why you have selected it for us to review. Applications will be available January 1 and will be due on March 11 at 5 PM. You can preview the application here. If you have any questions about the program, please contact Emily Hall, Director of the Writing Fellows Program (ebhall@wisc.edu) or Brad Hughes, Director of the Writing Center (bthughes@wisc.edu).